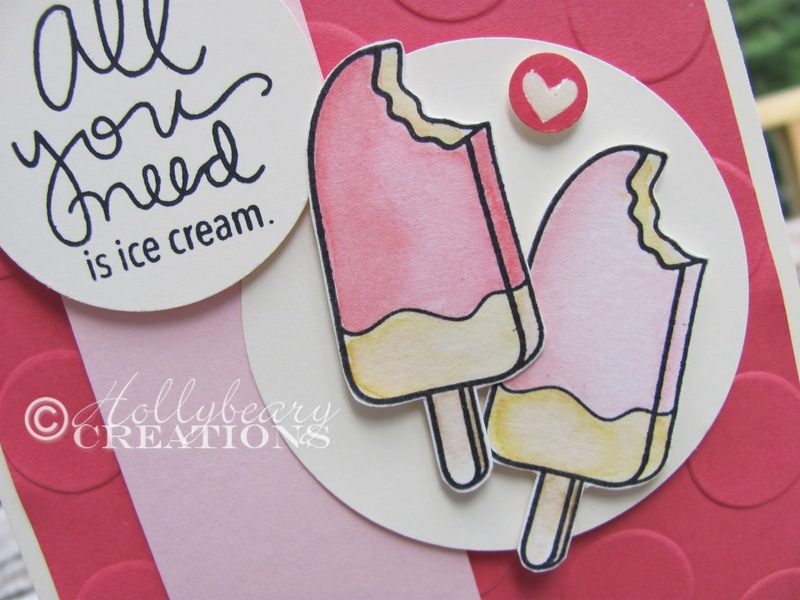 Hollybeary Creations : SS81.. all you need is ice cream! SS81.. all you need is ice cream! Happy Tuesday!! I'm running a few days late with my Sunday Stamps post.. What's new, it seems I'm behind lately. 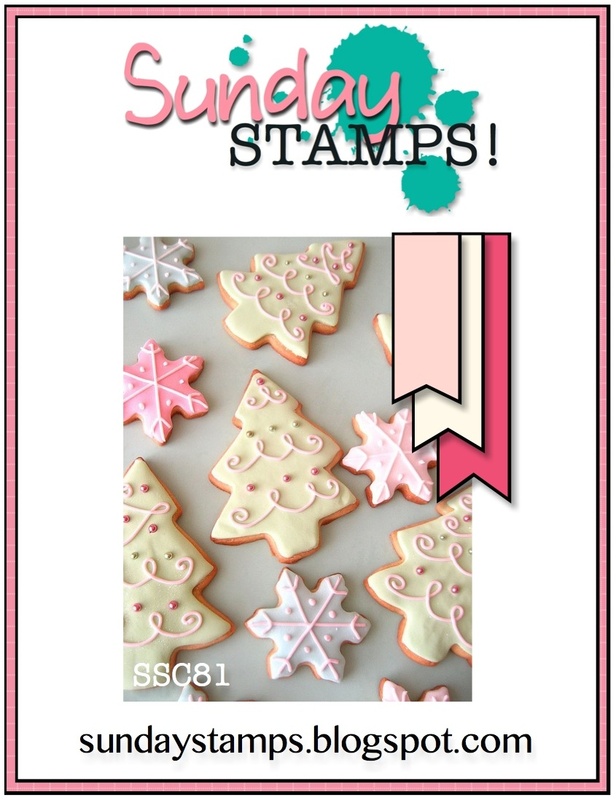 This week at Sunday Stamps we have a color challenge for you and we're using Pink, Pink & Vanilla.. Ha Ha Or Strawberry Slush, Pink Pirouette & Very Vanilla. I started with the ice cream and worked my way from there.. I stamped them onto a piece of watercolor paper and colored them in with some Distress ink in Worn Lipstick, Spun Sugar, Scattered Straw & Antique Linen. 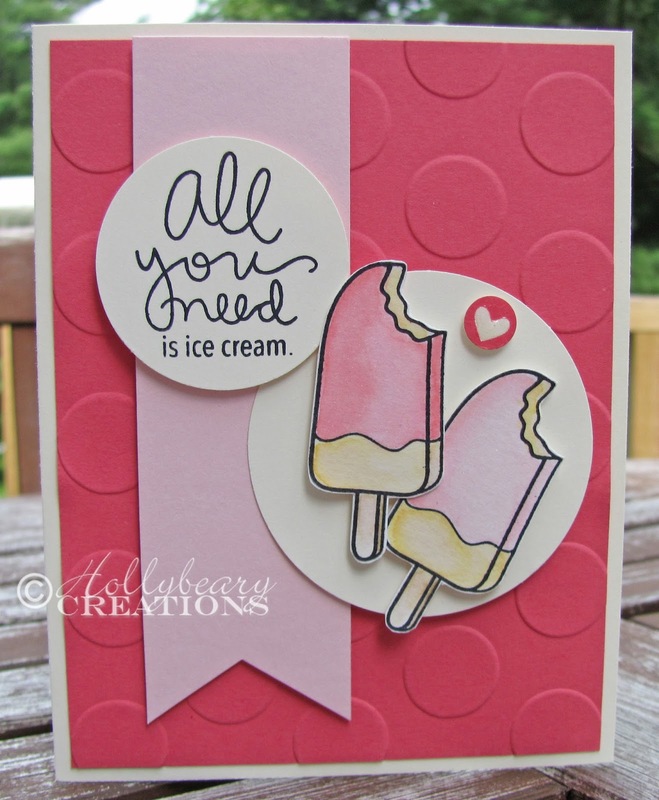 All images are from the Simon Says Stamp August Card kit.. & the Stamp set Ice Cream Dream. After I colored the ice cream I added some clear Wink of Stella to the pink parts and set that asisde to dry. Then I created a card base from Very Vanilla and added a piece of Strawberry Slush that was embossed with the large Polka Dots folder. Then I added a banner from a piece of Pink Pirouette. I added the popsicles to a 2 1/2" circle punched from some very vanilla with dimensionals. Then I stamped the sentiment onto a piece of very vanilla and punched it out with a 1 3/4" circle punch. I stamped the little heart from the set in Strawberry slush and punched it out with a 3/4" punch. I added some Crystal effects to the center heart. Be sure to head over to the Sunday Stamps blog and see what the other Design Team members created.. We hope you will join us. The challenge is open until Friday Aug 8th @ 6pm EST.